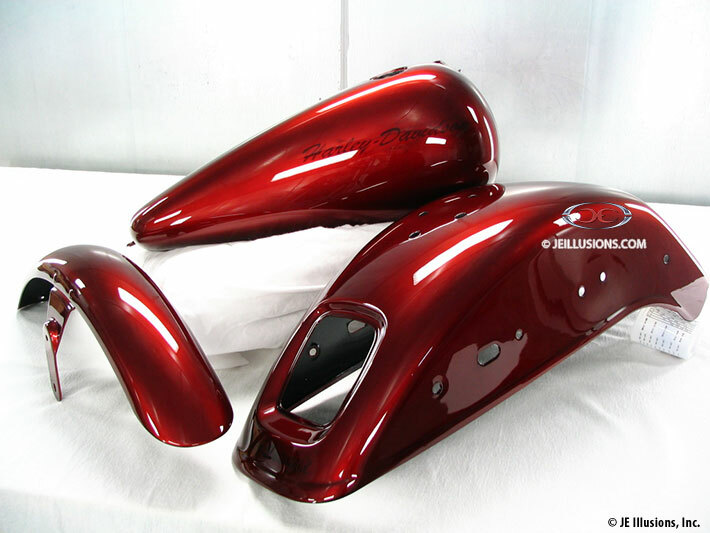 This was a very simple and classic look for this bike. 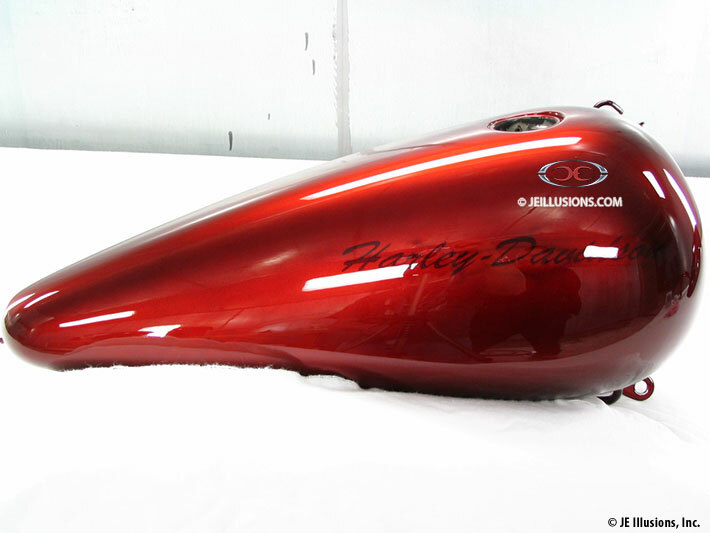 The kandy red color was matched according to the customers preferences. 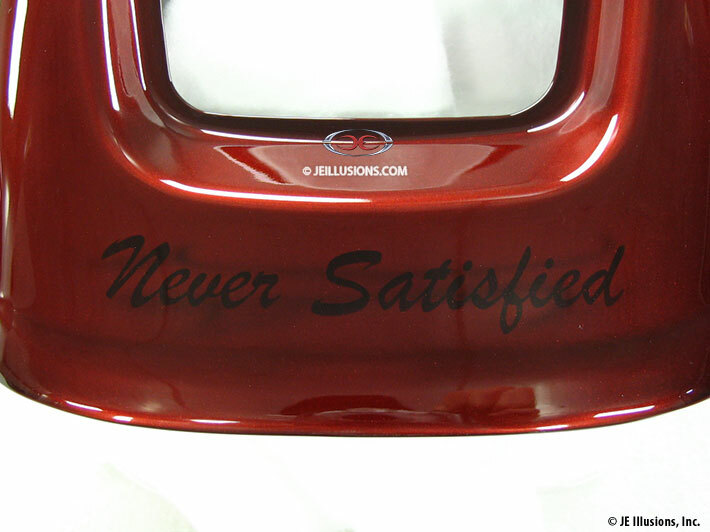 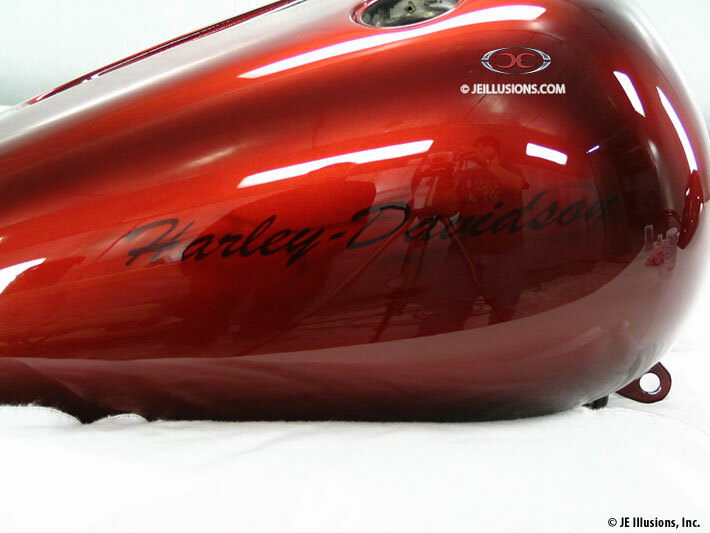 A subtle and clean Harley-Davidson script was then airbrushed on each side of the tank and then our proprietary coating process to make this really shine in the sun!